Steve Bannon returned to Breitbart News as executive chairman on Friday following his ouster from the White House, the far-right website announced in a press release. Bannon chaired the outlet's evening editorial meeting, the press release added. "I feel jacked up," Bannon told the Weekly Standard. "Now I'm free. I've got my hands back on my weapons. Someone said, 'it's Bannon the Barbarian.' I am definitely going to crush the opposition. There's no doubt. I built a f***ing machine at Breitbart. And now I'm about to go back, knowing what I know, and we're about to rev that machine up. And rev it up we will do." 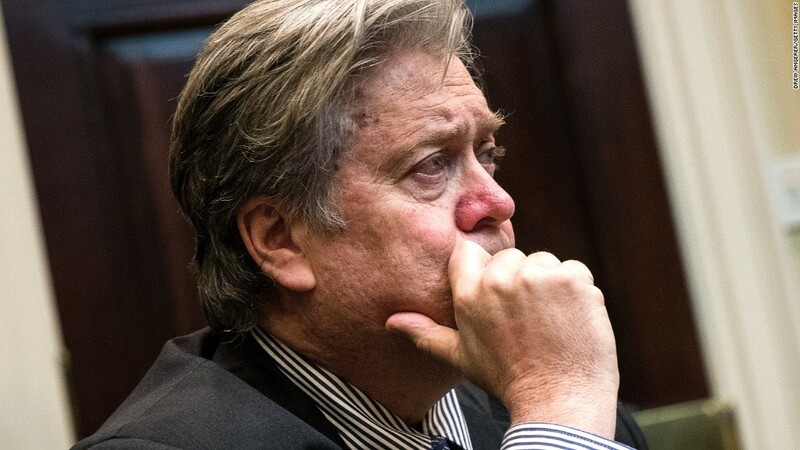 Breitbart Editor-in-Chief Alex Marlow welcomed Bannon back in a statement, saying that Breitbart had "gained an executive chairman with his finger on the pulse of the Trump agenda." President Trump fired Bannon earlier in the day, multiple White House officials told CNN. The departure of Bannon, who served as White House chief strategist, immediately prompted interest as to whether he would return to Breitbart, the website that has been unfailingly supportive of Trump since the dawn of his presidency. The mood inside Breitbart was mixed. One person familiar with the matter told CNN that there was a contingent of Breitbart staffers who desperately wanted Bannon to return. But others had hoped Bannon would not return, a separate person said, citing the brash and bombastic manner in which he worked with employees. The website's CEO, Larry Solov, welcomed Bannon back with open arms. "Breitbart's pace of global expansion will only accelerate with Steve back," Solov said in a statement. "The sky's the limit." Speculation swirled on Friday over whether Bannon's firing from the White House would push Breitbart to gear up for a battle with the Trump White House. Following news of Bannon's exit, Breitbart started to prepare stories critical of people in the Trump White House, a person at the website said. It's most likely the site will not -- for now at least -- directly attack the president, but will focus on people in Trump's circle who had clashed with Bannon, or who are viewed as Democrats or "globalists." A person who recently spoke with Bannon told CNN that Bannon is "not going to go out peacefully." "It will be Bannon the Barbarian," the person said.